in this college i have learned so many things .up to now we enjoyed a lot had full fun and joy.we have good facilities and infrastructure.good faculty.well library.good sports facilities . my experience is very well. the college located outside of the town so the atmosphere is very silent.we have a good infrastructure and good facilities in the college.the experience is very good. If you want to enjoy your life with education choose this college ..You with get both enjoyment and as well as education..The instruction will give freedom to you..
My good no remarks but its out of city only but we have frequently auto and bus to travel nothing to tell bad remarks my college. 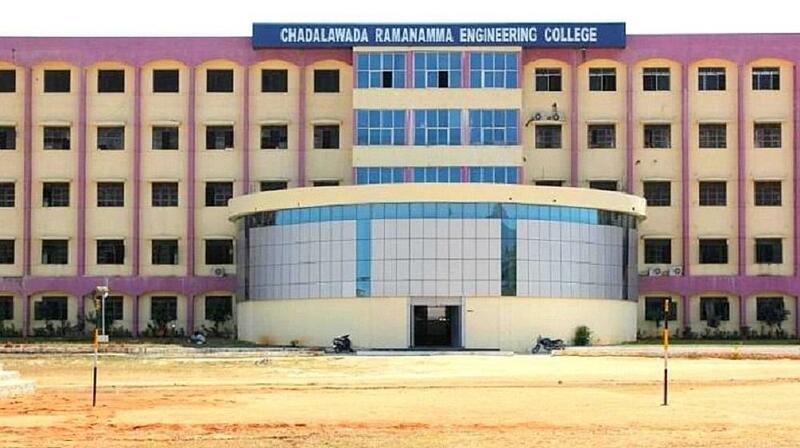 Chadalawada Ramanamma Engineering College was established in 2004 by Krishna Theja Educational Society. College represents a rich tradition of excellence in technology-based education. Chadalawada Ramanamma Engineering College received the Excellence award 2012 for Research and Innovation from Knowledge resource development and welfare group (KRDWG)at a function held at IIT Delhi Campus. "Good atmosphere to studing b.tech especially EEE"
I am entered into college through EVER Examination conducted by Ap government.. No interview process just follow online examination only.